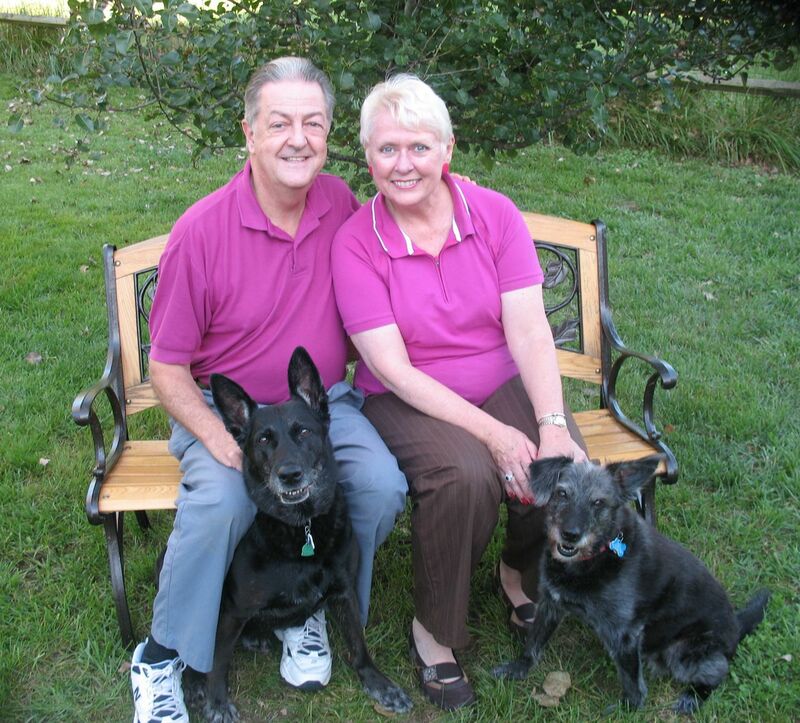 Husband and wife team, Jim and Jan, love animals particularly dogs. We have been pet sitting since the mid-1990s in Massachusetts and since spring 2006 in the Triad area of North Carolina. In early October 2005, my wife, my two furry friends and I moved into our house in the southeast part of Guilford County, North Carolina where we own and operate Walkin’ the Dog. When we first moved to NC we volunteered for T.I.R.S. at Wake Forest University. We owned and operated a residential cleaning business in New England for nine years called Neat ‘n Clean Etc that quickly blossomed to include pet care. Most of our customers had pets; thus the “Etc.” part of our cleaning business. We got tired of the snow and cold in New England as we aged, and have moved to a warmer climate in the beautiful south. The animals we care for are dogs, cats, parakeets, Doves, fish, chickens, roosters, guinea pigs and hamsters. Reptiles and large farm animals are off the list though! Reno died October 23, 2011 at age 14 and January 2, 2012 Jim, Jan and Murray adopted Brady who was 3 at the time. Brady brought Murray back to life after the loss of her sister, Reno. We lost Murray June 28, 2013 at almost age 17. They are still greatly missed. The team knows you want not only your animals to be well cared for while you’re away, but also to know they get to stay in their own home and comfort. While caring for your animals your house is also looked after making it look lived in by rotating lights, bringing in mail, putting out/bringing in trash and recycling barrels, watering plants and so on at no extra charge. Customer testimonials are available upon request.